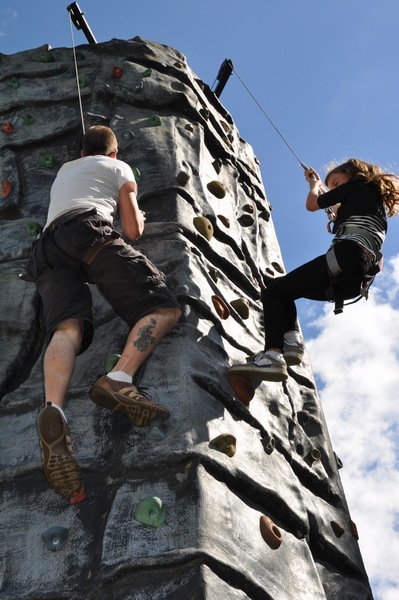 From its base in East Sussex, Altitude Events are the premier providers of Mobile Rock Climbing Walls throughout the Southeast and further afield. 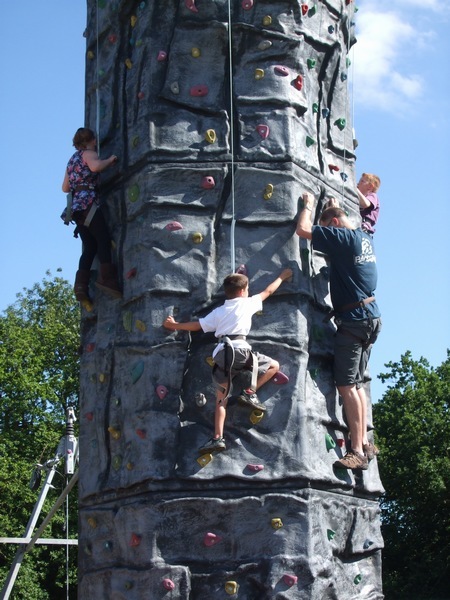 Altitude offers a Mobile Rockwall rental service to West Sussex, Surrey, Kent, London, Hampshire, Essex, Berkshire, Buckinghamshire and Hertfordshire. Rock Climbing is one of the fastest growing sports in the UK. 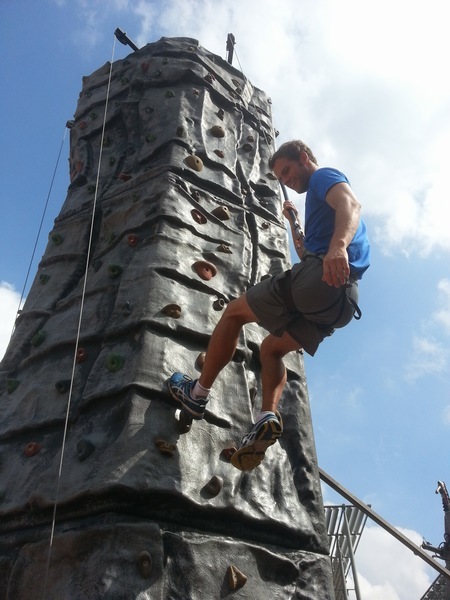 So why spend time traveling, when we can hire Altitude’s Mobile Rock Climbing Tower to come direct to you? Established in 2004, Altitude is one of the longest running companies offering Climbing Tower Rentals and Rockwall Hire in the Southeast. 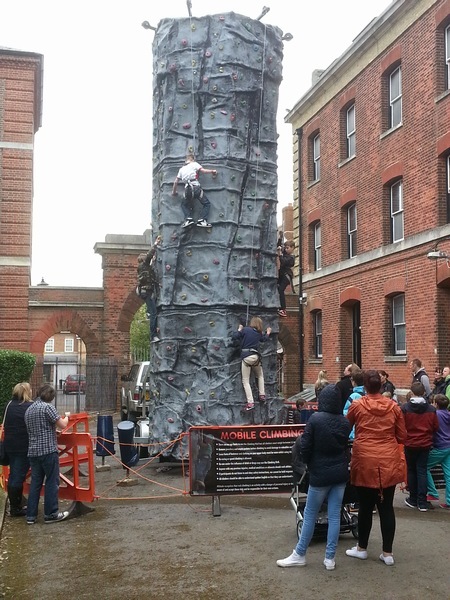 Altitude’s Mobile Rock Climbing Tower is ideal for hire by schools for use in both lesson time or as part of their sports programme, or on an outdoor multi activity day and also for fetes and fundraisers. 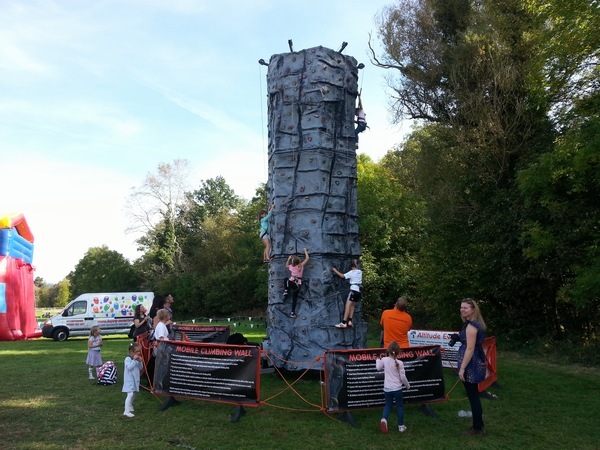 The Mobile Rockwall is also suitable for Corporate Events,Company Family Fundays, Team Builds, town shows, youth groups, charity events, fetes, country shows, community events, council events, family fun days, holiday camps, playschemes, promotions, Scout and Guide Camps, xtreme sports events and just about anything else that you can think of in between! 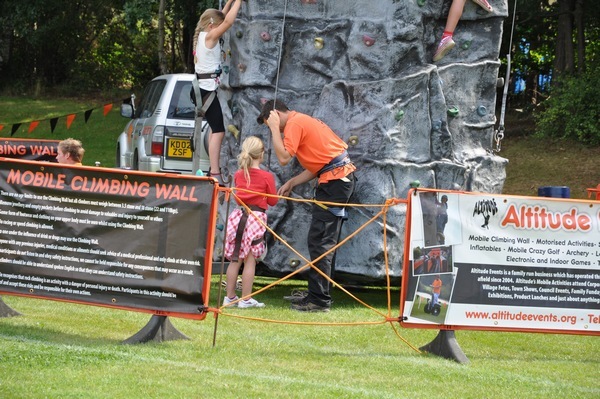 Our eye catching Mobile Rock Climbing Wall provides a major attraction at very reasonable rental prices, giving scope for promotion or fund raising and guaranteed FUN for all ages! The Mobile Rock Climbing Tower features automatic belays and allows up to 4 climbers to climb simultaneously in complete safety. We have many different routes on the Mobile Rockwall meaning that we can find a challenge for anyone and everyone! 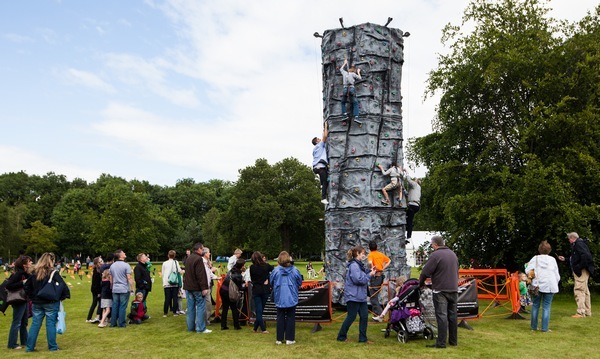 As well as being supplied with the highest quality safety equipment available, £5 million PLI and Risk Assessments, your Portable Rock Climbing Tower will be operated by fully qualified and experienced climbers (CRB/DBS checked and 1st aid trained), ensuring that climbers are in safe hands at all times. Staff - Our CRB/DBS checked 1st aid trained staff are climbers themselves meaning that they have a passion for the sport they instruct. We are not just amusement operators as most Climbing Tower operators are. Our staff and working practices are all certified by an MIA/MIC showing our good practice. Insurance and Risk Assessments - We have £5 million PLI and full Risk Assessments. Equipment - Being climbers ourselves we only use top quality equipment in our sessions and we have enough safety harneses to take large groups meaning we waste far less time changing over kit than most Rockwall companies do. 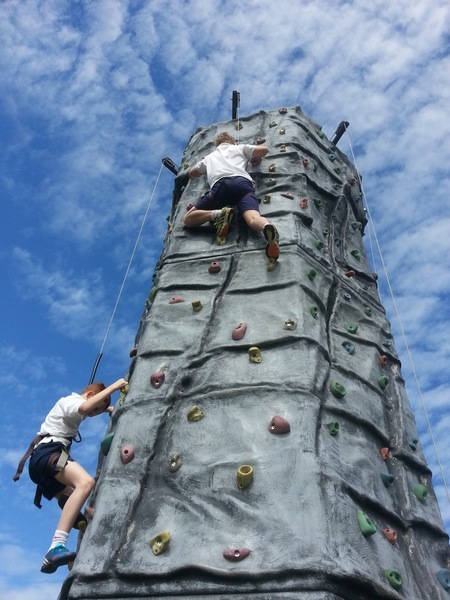 The Tower - Our Portable Rock Climbing Tower has many different routes on it so that we can find a challenge for anyone and everyone. Rather than just having 1 route on each side as most Mobile Rock Climbing Towers do, we have at least 7 different climbs on each face of the Rockwall available. 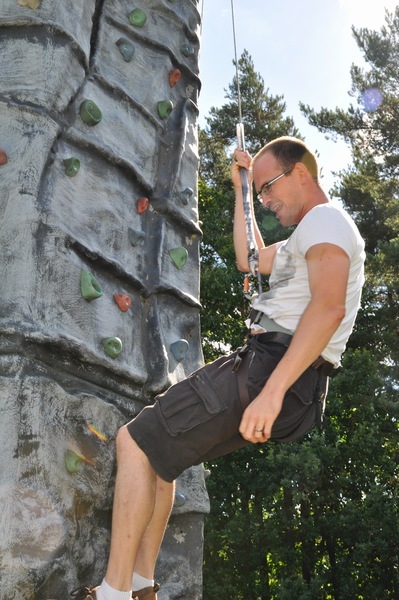 Price - Our Climbing Wall Hire prices are very reasonable and we always stick to them. There are no additional costs put on at a later date and we never take cheap bookings and cancel them at late notice when better ones come in as many Rockwall operators seem to do. Experience and Feedback - Check out our testimonials to see what our previous clients thought about us. We have never missed a booking or let anyone down since we started in 2004 and we have attended many many thousands of events in that time.